This competition was organized by the Garvald Website Team in support of National Poetry Day, 2nd October 2014. We had a fantastic response with nearly a hundred entries! The theme, as for National Poetry Day, was ‘Remember’. The poems were sent as anonymous entries for judging and this year we were delighted to have Edinburgh-based Poet and Writer Mario Relich as our expert judge. Mario is Secretary of the Poetry Association of Scotland and an executive committee member of Scottish PEN, which works to ensure worldwide freedom to read and write. We thank Mario for taking the time to judge the poems and our congratulations go to the winners. All winning entries have been published here (see below) and on the Scottish Poetry Library blog for teachers. 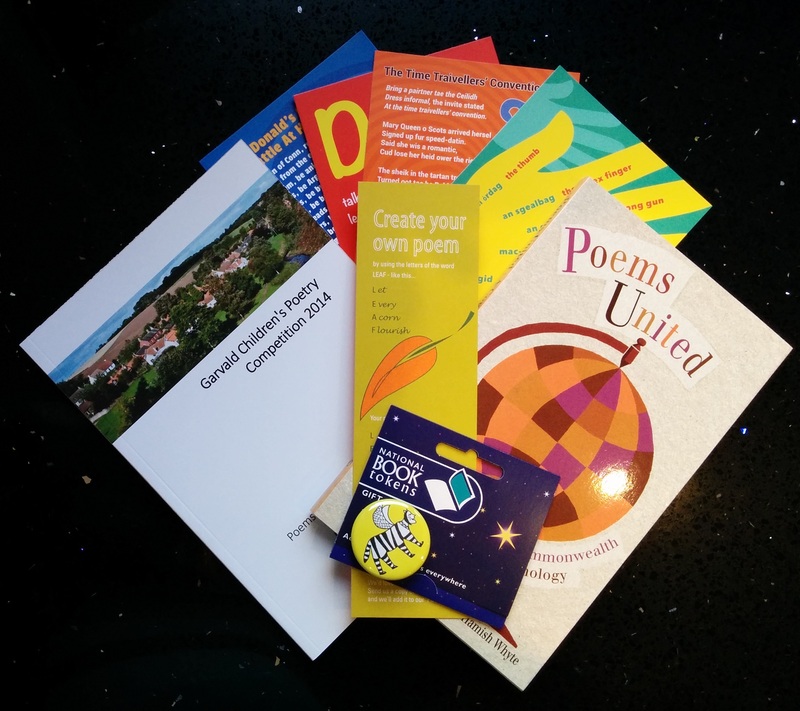 We are grateful to Georgi Gill, Learning Manager at the SPL, for her support and for arranging some lovely prize books, postcards, badges and bookmarks. 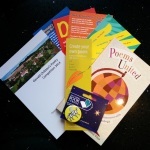 We would also like to thank Garvald and Morham Community Council for their support in providing funds for book token prizes and printing of the competition poem books. And the leaves will fall off trees. It is amazing with blazing leaves. The animals are getting ready for their hibernating. It will be cold and in the winter there was a storm with lots of vibrating. Sounds like animals crunching food. Back to Scotland it was a week till my birthday. So we got down the stairs and rushed in to the airport. Had never been there before so I knocked on the door. And suddenly a Sprocker dog jumped out at me. So I squeezed her tight then let go. So we popped him in the car and took him home. I saw the enormous oak. With other people to meet. When they fought with gun blows. Other people with guns they wield. On horseback they would go. They don’t care how much gold they pay. As the fire would glow. We are told to write a poem on something we remember. I feel so angry at myself, and at him. I really want to rip it up. I hide my face behind my hands. I wish I could run out the room. Tears drip onto the desk. I take my hand away so everyone can see my embarrassment. I remember the time a teacher asked me to write a poem. Remember, my son, that day we had so much fun. When the sun was shining down. When you were laughing your head off. A sugary sweet melting on your tongue. The warm glow of the fire like a ruby. Christmas music drifting through the air. Is a minute of happiness you’ll never get back. Well, rather them than me. I still remember all those. Barbed wire is all I see.